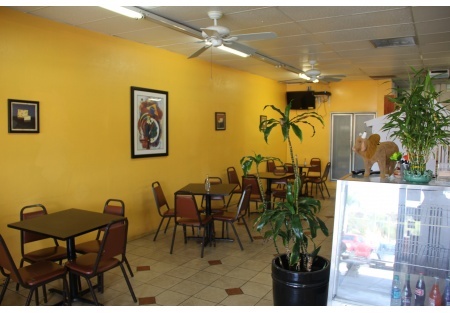 Low Rent - Oceanside - Taqueria for sale - Turn-key - Low Price! Turn key Mexican food or bring your concept in high traffic area of coastal North County. Restaurant has been a Mexican food location for three years; owner is ready to move on and is letting it go cheap. Located near a freeway on and off ramp on an extremely busy road, the daily vehicle traffic is huge. Shopping center has lots of big draw names as tenants including McDonalds, Starbucks, large box retailers and many other traffic churners. Seller states sales are averaging approximately $500 dollars per day. Restaurant has a nice dining area inside and a full open view style kitchen with all the equipment in place ready to produce for a variety of different concepts. Restaurant has 1092 square feet of inside space and approximately 500 square feet of patio space setup for outside dining. Rent is $1500. per month including CAM. That is your total rent. New lease available to qualified tenant. Here is your opportunity to get into a turnkey restaurant with very little investment, and no lost time. This could be you new place in less than a month are you ready? Please go to sellingRestaurants.com to get the name and address of this restaurant.